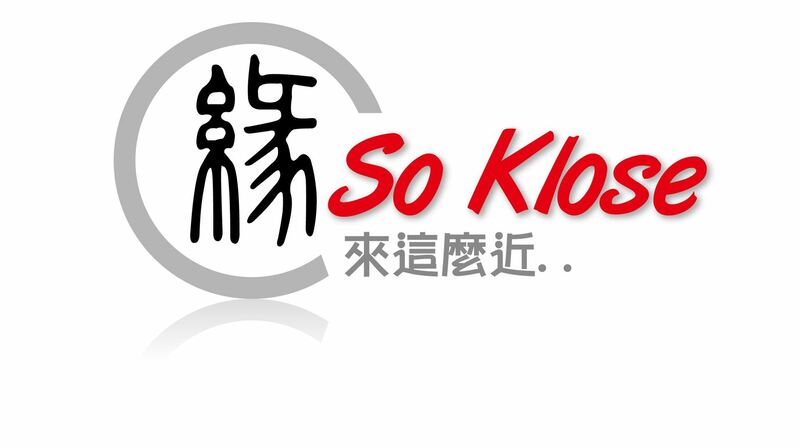 The profile of So Klose members are mainly single professionals and executives who are highly educated; middle and high income earners; business travellers, professionals and MDs, etc. 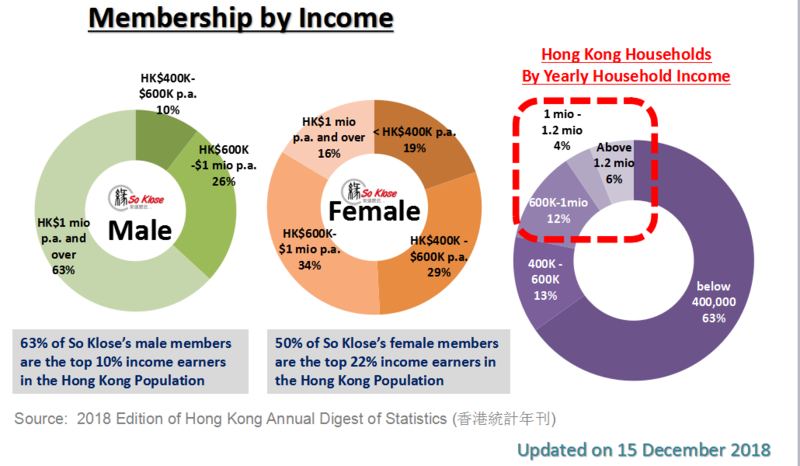 According to the results of the Hong Kong General Household Survey#, the median monthly domestic household income for 2018 was $26,500. 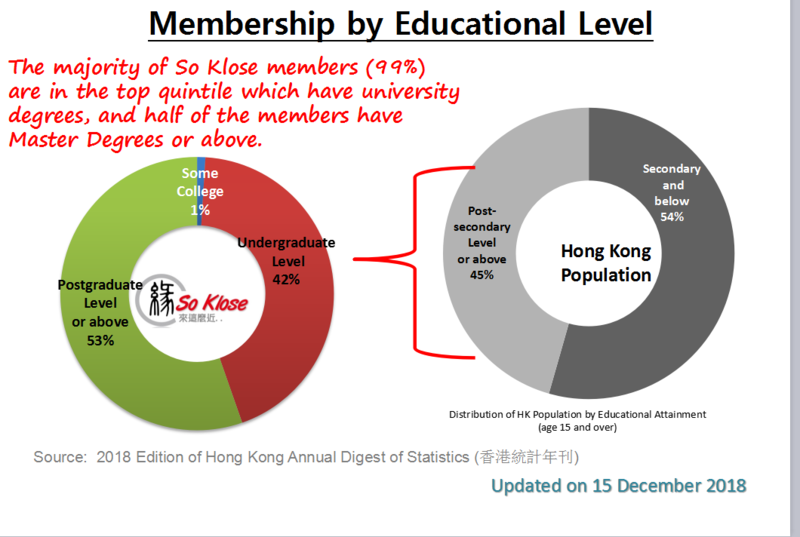 As compared our members' personal incomes with Hong Kong domestic households' incomes, about 63% of So Klose male members are the top 10% income earners in Hong Kong population, while about 50% of So Klose female members are the top 22% income earners which have annual incomes exceeding $600,000p.a.. 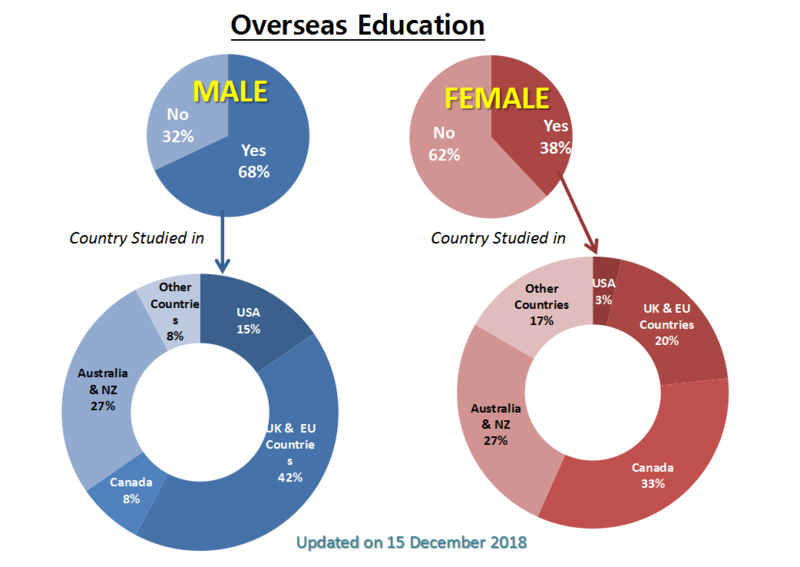 The vast majority of members (99%) have university degrees, and half of members (53%) received their master's degrees. 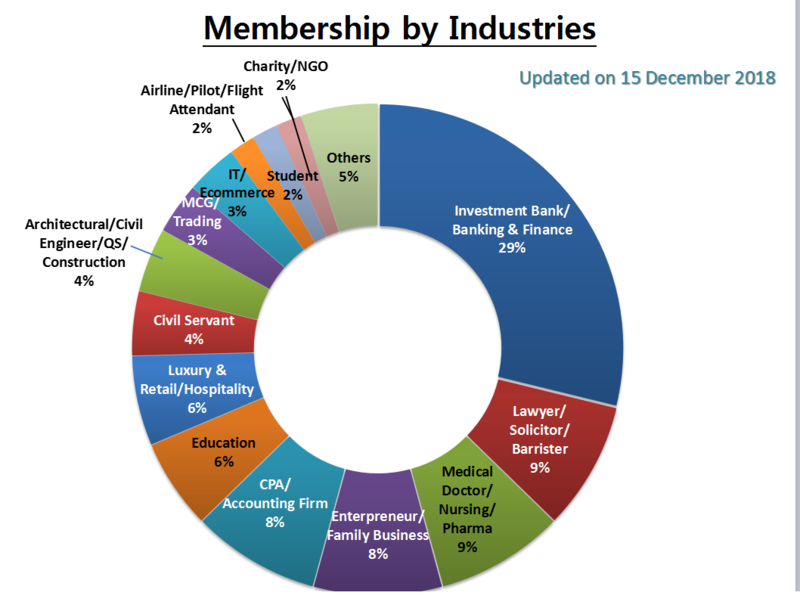 The highest percentage of membership by industries are coming from Investment Bank/Banking & Finance (29%), Solicitor/Lawyer/Barrister (9%), Medical Doctor/Nursing/Pharmaceutical (9%), Entrepreneur/Family Business (8%), CPA/Accounting (8%), Education (6%), etc. 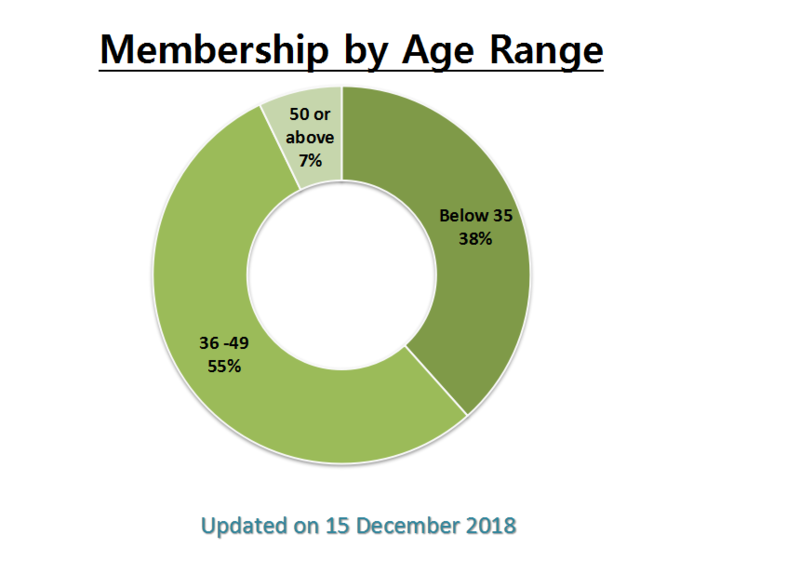 The majority of members (68%) are either atheists or agnostics or don't want to write that down. 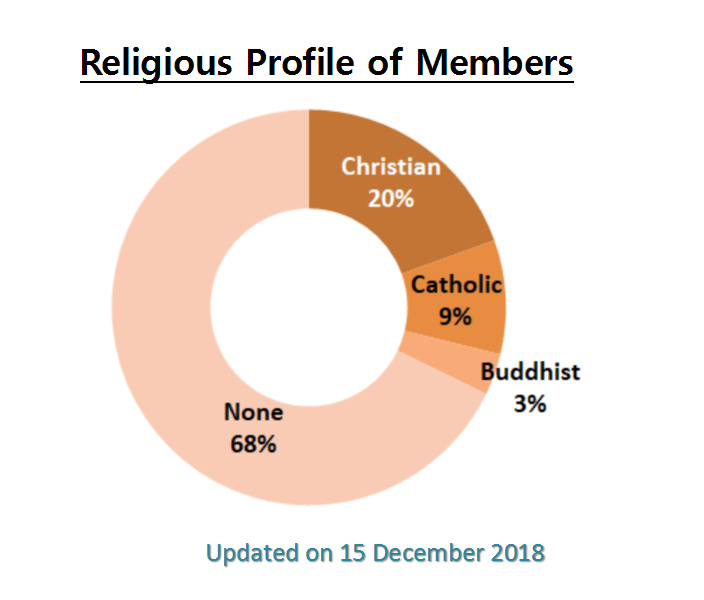 About One-third of members are Christians and Catholics.